Join Us at the Hyatt Regency at the Arch in St. Louis! If you need additional assistance booking your room, please contact Hyatt Regency at 877-803-7534 or click here to find contact information by Region. If the group rate is no longer available, prevailing rates may be offered for some or all of your dates. 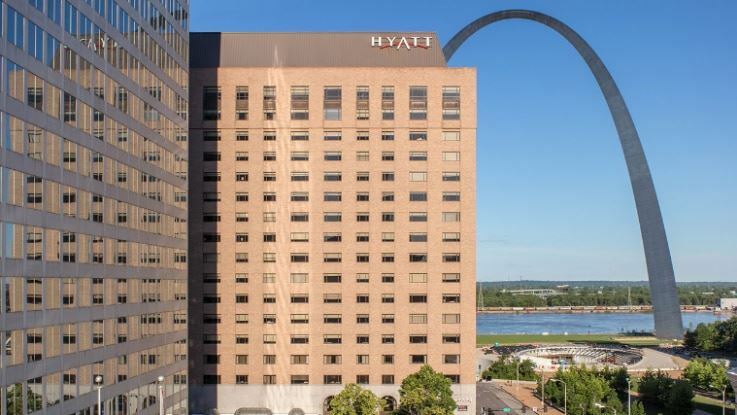 The conference hotel is the newly renovated Hyatt Regency in the heart of downtown St. Louis, near the famous Gateway Arch. Lambert St. Louis International Airport is approximately 20 miles from downtown St. Louis. The hotels is only 1.5 miles away from the Amtrak station. Attendees will need to make their own transportation arrangements from the airport or train stations to the Hyatt. Additional information on transportation will be provided closer to the conference - however feel free to check out local transportation information and maps provided by the Hyatt Regency. If you need local directions or information about parking, it can be found at this page from the Hyatt Regency. We are adding activities, including our social dine-arounds, as well as local tours and events from sponsors and local organizations. Information about those activities will be found on our Activities page as it is updated.